Daily between May and October, 9am - 3:30pm. Open 1 hour later in July and August. 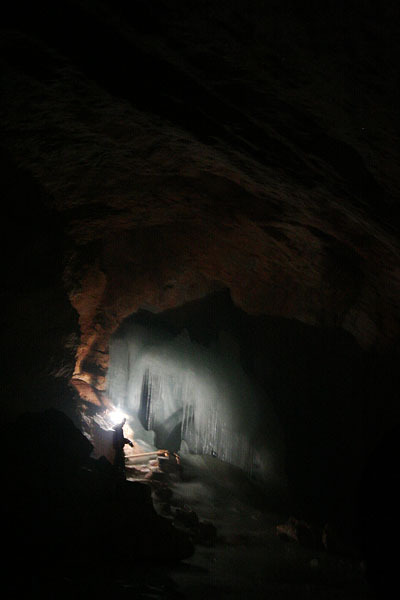 Eisriesenwelt, or World of the Ice Giants, is the largest ice cave in the world. Officially discovered in 1879, when Anton Posselt, a Salzburg Natural Scientist pushed a few hundred meters into the mountain, the caves have since become a big tourist attraction for the region. To access the caves, visitors first take a cable car up to the Dr. Oedl Haus, a traditional mountain hut located 1574m above sea level, where you can get something to eat, or even book a room if necessary. From here you walk to the caves entrance. The tour lasts approximately 75 minutes, and it is advised to dress warm even if it is a hot summer’s day. The average temperature in the caves in 0 degrees, so if you arrive in shorts and a t-shirt, you will find the tour uncomfortable. 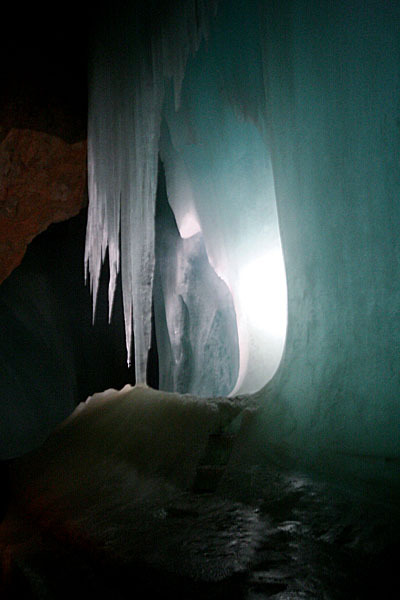 On the tour you will see amazing ice formations, such as the Ice Organ, and Hymir’s Castle. At the furthest point into the tour, you are one kilometer inside the mountain. Be aware that the caves are only open between May and the end of October. Eisriesenwelt is located about 40 kilometers south of Salzburg, in a town called Werfen. To get to the caves with public transport, you should go to Salzburg Hauptbahnhof and buy a ticket to Werfen. From here, you catch a bus to the Eisriesenwelt parking lot. From the parking lot, walk approximately 15 minutes towards the Wimmer Hütte, where you can catch the gondola. From the top of the gondola, the caves are about another 15 minutes walk. 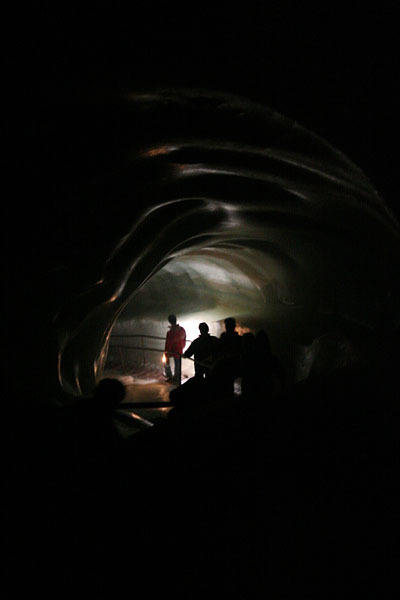 Although these directions sound complex, the caves are visited by hundreds of thousands of tourists per year, and as such, you will not be the only one on this journey. Paths are well sign posted, and the caves are the number one tourist attraction in the town, so everyone will be able to help you if you get lost. 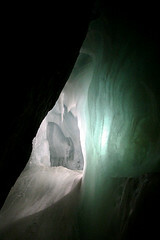 Be the first to write a review about the Ice Caves (Eisriesenwelt)! See below for more information. Have you already visited the Ice Caves (Eisriesenwelt)? If so, let everyone know what you thought about it by writing a review! No registration necessary. Just click here to start writing! View all Ice Caves (Eisriesenwelt) Pictures.